To be honest, 2018 was an awful year for Linfield. However, the Irish League doesn’t run on calendar years, and the second part of the year was a lot better, giving hope that 2019 could be a good year. Linfield arrived at Solitude hoping to make the final week of the year a very good week. The busiest time of the year, both sides were coming into this game on the back of contrasting fortunes of their games on Wednesday afternoon. The quick turnaround meant there wasn’t a lot of time to analyse the games on Boxing Day, which was probably good for Cliftonville, after a 5-1 defeat at home to Crusaders. Linfield didn’t really have to do much analysing of their match against Glentoran, they just had to repeat it. The only positive that Cliftonville had on Boxing Day, was that they conceded less goals than they did in their previous game, a 6-4 defeat away to Institute. All season, Cliftonville have conceded goals. Linfield know this, they stuck four past them in November, with Andrew Waterworth becoming a trendsetter, as everybody now scores a hat-trick against Cliftonville. As you entered Solitude, you were greeted with a muted atmosphere amongst the home support, those two results creating a sense of doom and gloom. They looked like a beaten team in the warm-up. 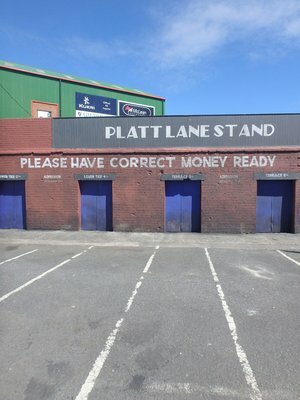 Linfield’s preparations for this game weren’t exactly smooth, on and off the pitch. The lucky cafe I usually go to for lunch before games at Solitude was closed today. Just as big, was the absence of Joel Cooper through suspension, with some supporters who weren’t aware of this getting a shock as they saw him taking his seat amongst the away support. His place in the starting eleven was taken by Matthew Clarke, when Daniel Kearns looked a more obvious option. However, when the sides met last month, Clarke came on for Cooper with the score at 3-2 to Linfield, with Niall Quinn being pushed into midfield. I had my doubts about this substitution, as I thought it was too defensive, but it proved instantly effective as Quinn set up the goal to make it 4-2. David Healy was hoping for a similar outcome at Solitude. On the back of the two previous results, Cliftonville were going to go at Linfield early on, and Linfield would have to ride it out. That would be more because they have conceded early goals in those two games, meaning that it was a case of attack being the best form of attack. Cliftonville had the first opportunity of the game when Rory Donnelly cut inside only to see his shot saved by Roy Carroll, before Matthew Clarke blocked Joe Gormley’s rebound when he looked certain to score. Clarke required treatment afterwards, it looked as though he suffered turf burn on the artificial pitch. It was a painful afternoon for Clarke as later on, he blocked a cross which hit him right inbetween the legs. Linfield were poor in the opening minutes, giving the ball away with stray passes, and being caught in possession and easily dispossessed when they had the ball. Too often, Cliftonville were first to every ball, and first in the air. They weren’t doing any damage to Linfield, but there’s no way that Linfield could get away with it for 90 minutes. Linfield’s first real chance of note came when Jordan Stewart had a shot saved by Richard Brush. Stewart then set up Niall Quinn, who fired past Brush, who came rushing out, only for the ball to go wide. He really should have scored. Worst of all, I was at the other end, a celebrated prematurely. A few minutes later, Linfield went in front when a header from Jordan Stewart hit the post and rolled over the line, though from where I was, it looked like it was rolling across the line, meaning my celebrations were delayed, rather than premature when Quinn shot at goal. Looking at the TV footage, it does look like an own goal by Chris Curran to me. We all know how the Dubious Goals Committee works in the Irish League. If an Attacker shouts loud enough, it’s their goal. Cliftonville responded with a Rory Donnelly header which hit the post, but fell perfectly for Jimmy Callacher to clear, to remind Linfield that even though Cliftonville’s confidence is low, this game was far from won. The half ended with a free-kick from Stewart being saved by Brush. Inside a minute of the second-half, it was 2-0, when Andrew Waterworth got in behind Cliftonville’s defence shot past the keeper who came rushing out, but his shot was going wide, so Niall Quinn made sure from a few yards out. I’m not sure why the keeper ran out, as Waterworth still had a lot to do to score. By rushing out, he made it so much easier for Linfield to score, not that I’m complaining. Just like on Boxing Day, Linfield started to really play now they had a cushion. They couldn’t get the third goal they needed to secure the points. Even though Cliftonville never looked like getting back into the game, Linfield still had memories of blowing two goal leads at Solitude in 2015 and 2017. Andrew Mitchell came on for the injured Stephen Fallon, while Michael O’Connor came on for Andrew Waterworth. O’Connor’s afternoon didn’t last that long, as he got sent-off for two stupid bookings. Linfield were comfortable, and didn’t need to give any encouragement to Cliftonville. The only moment of worry they had was a long range shot from Ryan Curran that was saved by Roy Carroll. Linfield might have had a man less, but they had the ball, and Cliftonville couldn’t score if Linfield had it. In the end, it was a comfortable win for Linfield. At one point, in the second-half, with Linfield 2-0 up, Ballymena United, Crusaders and Glenavon were all dropping points. In the end, only Glenavon dropped points. Three other results going in our favour was hopeful, but we’ll take one. Next up, is the first game of 2019 on the first day of 2019, a trip to Ards. We’ve already slipped up there once this season. Elsewhere, Ballymena play Crusaders. One, or possibly two, teams below us will be dropping points on Tuesday. A win at Ards is a must. Linfield can’t influence other results, but we can take advantage of them. February 2018 began with a trip to The Limelight, a first proper concert of the year, to see Shed Seven supported by John Power. That was followed the following midweek by a trip to Warrenpoint to see Linfield take on Warrenpoint Town. The following Saturday, was Linfield’s 0-0 draw with Dungannon Swifts. The following week was very busy, with Paul Weller at Ulster Hall followed by Ulster v Edinburgh and then Cliftonville v Linfield. The weekend after that was a trip to the seaside, to see Linfield take on Ards. That was then followed by a midweek trip to Windsor Park to see Linfield lose to Glenavon. Around that time, it was getting cold. So cold, there was the possibility of snow. That didn’t come until March 1st, so you’ll have to wait until next month’s round-up to see that. With Matchday 4 being split across three games on Friday and three games on Saturday, Linfield fans expected to arrive at Solitude on Saturday afternoon with their side knocked off the top of the table on Friday night. What may have surprised them was that it was Glenavon rather than Coleraine who led the table, with Coleraine missing the opportunity to do so with a 2-2 draw at home to Institute. Linfield and Cliftonville had identical starts this season to what they had last season. Linfield with three wins and three clean sheets, while Cliftonville followed an opening day win with a defeat to Coleraine and a draw against a Bottom Six team. Cliftonville’s start to 2018-2019 also mirrored 2017-2018 as Matchday 4 over the August Bank Holiday saw them welcome the dethroned champions, as Crusaders got a 2-1 win. A similar result for Linfield would see them pull eight points clear of Cliftonville. Even at this early stage, it would be hard to see that being overturned. Unsurprisingly, Linfield had an unchanged team from the previous Saturday in North Belfast. There was no need to change anything. The game began in a relatively subdued manner and atmosphere. That soon disappeared when Ryan Catney made a reckless tackles on Daniel Kearns and got away with a yellow card. Yellow cards were plentiful for Cliftonville in the first-half. Cynical fouls with no intention of winning the ball, such as Garry Breen taking out Jamie Mulgrew (another foul for the counter, there will be a presentation for the player who commits the 5,000th foul on him, expected to be at some point this season). The sort of fouls that frustratingly were yellow cards, even though you wanted more for them. A well worked free-kick saw Andrew Waterworth go just wide, while Daniel Kearns thought he had played in Waterworth only for his pass to be intercepted. He probably should have shot at goal himself. Not a lot was happening in the early minutes of the game, neither side having any real attempts at goal, but Linfield having more of the ball in the opposition half. The game was to change just before the half hour when Jamie Mulgrew was sent-off after challenging for the ball with Jay Donnelly. A yellow card at worst, if there was to be a card. There is absolutely no doubt that the referee was influenced by Cliftonville players running to the scene of the foul, and it happening not far from the main stand where Cliftonville fans were housed. He bottled it and allowed himself to be intimidated. One thing that Linfield could exploit was that so many Cliftonville players were on yellow cards, and could be targeted for second yellow. The only question was would the referee have the guts to issue that card. The last time Linfield played Cliftonville, they had a first-half red card and went to pieces in the immediate aftermath, which ultimately cost them any chance of getting something from the game. Thankfully, that didn’t happen today. The knew they had to summon the spirit of Mourneview Park 2016. Mulgrew became the fourth player to be sent-off at Solitude since 2013, joining Michael Gault, Robert Garrett and Sean Ward. It could have been tempting to introduce Robert Garrett from the bench, but there was no need as Niall Quinn had started the season in centre midfield, so was able to slot in there. Josh Robinson had a couple of headed chances as Linfield sought to make the most of any set pieces they had. The vast majority of set pieces were poor, often failing to beat the first man, or Linfield losing out on the second ball. The half ended with Joe Gormley getting a yellow card for shoulder barging Roy Carroll as he held onto the ball. Carroll was targeted throughout at set pieces by Cliftonville players. Linfield would have been glad to get in at half-time to take a breather. Despite only having ten men, at no point did they look like they were playing with ten men. They never looked like being troubled, but never really troubled Cliftonville. They had promising situations, but just needed to get that pass right, or make that run on time. This game was there for the winning. Joel Cooper, already on a yellow card by this point, was lucky not to get a second yellow for a foul on Levi Ives in the Cliftonville penalty area. If he wasn’t already booked, he probably would have been booked there. Michael O’Connor then came on for Andrew Waterworth, as Linfield searched for a winner. On 73 minutes, Cliftonville took the lead when a throw-in bounced over Jimmy Callacher, and Linfield couldn’t get the ball off Jay Donnelly, who crossed for Joe Gormley to head home from close range. It was Cliftonville’s first chance of note in the game. Callacher wasn’t the only Linfield player having problems on a very bouncy pitch. Every time a backpass went to Roy Carroll, you had your heart in the mouth as you didn’t know where the ball was going to go. Linfield responded with an attacking substitution, Kirk Millar coming on for Matthew Clarke. Despite only having ten men, it was Linfield who were outnumbering Levi Ives, with Millar, Kearns, Casement and Mitchell working opportunities down the right. Kearns and Millar created space for Andrew Mitchell to cross right into the six yard box for Michael O’Connor to get a touch to divert the ball past Richard Brush. It wasn’t a clean touch, but it was enough to go past the keeper, which is all that matters. From where I was standing, I thought it was going just wide. There was still time for either side to win the game. Thankfully, Linfield had that extra bit of energy to see out Cliftonville’s attacks. They almost won it when Joel Cooper got in behind Cliftonville’s defence, shooting across Richard Brush, who saved it. If he parried it, Michael O’Connor would have had an open net to win the game for Linfield. It finished 1-1, Linfield’s first dropped points, but it was Cliftonville who were left feeling that they dropped points, from two positions of strength, with a goal and a man advantage. The draw sent Linfield back to the top of the League, one point clear of Glenavon. With three difficult away games against Top Six teams, you’ll take that, especially as they only managed two points from three games in 2009 and two points from four games in 2013 with similar starts. Up next, is a League Cup tie at home to Moyola Park. I’ll be giving that a miss. If it was away though, i’d be all over that. Next Saturday is the start of a new month, and my first visit to Windsor Park of the season for the match against Ards, with the mood more upbeat that the last time I headed to Windsor Park in April. Ards is a must win game. Obviously, but especially when you look at upcoming fixture lists. On Monday 3rd September, Matchday 5 will conclude with Crusaders watching Coleraine on Sky Sports. I may watch it if there isn’t a railway documentary on Channel 5. One or both of them will drop points, Linfield have to win to take advantage of that. On Matchday 5, Linfield travel to Warrenpoint while Crusaders and Coleraine are in Scottish Challenge Cup. If Linfield can win those two games, they will pull away from at least one of their rivals. And then in upcoming weeks after that, Glenavon will have to face Crusaders, Coleraine and Cliftonville. More guaranteed points droppage for Linfield to take advantage. Three points seperate 1st to 7th, there’s a traffic jam at the top of the League, led by Linfield. Long may that continue. Thursday will see the draw for the Group Stages of the European Cup, and i’ll hope to take in one of United’s group games at home. Hopefully, it will be a competition Linfield will be playing in during 2019-2020. September’s football watching began for me in Edinburgh, seeing Linfield take on Spartans in the Scottish Challenge Cup. That was followed two days later with World Cup action, as Northern Ireland took on Czech Republic at Windsor Park. After that, it was all about Irish League action, taking in Linfield’s matches against Glentoran, Crusaders, Ballinamallard and Cliftonville. It was a far different scenario than when Linfield made their second visit of the season to Solitude last season. Of course, as you will remember, that game in April 2017 saw Linfield needing three points to secure the title. This time around, the three points were needed to put pressure on Glenavon in the race for 3rd, while a defeat would see them drop to 5th. As recently as last Saturday, Linfield fans didn’t know if or when this match was going to take place. I’ll be touching on that later. I headed to my usual spot for lunch when I go to Solitude. Every time I go there, we win. Well, apart from the last time I visited Solitude. I’m blaming it on my trip to The Co-Op afterwards to get a banana for jinxing us. It definitely wasn’t us playing defensively and trying to hold onto a lead and giving the initiative to Cliftonville. I had to take a carry-out lunch as there were two Linfield players (not in the matchday squad) hogging a table. Shameful behaviour that brings the game into disrepute. Okay, it’s not quite stealing a taxi, but still. Linfield got off to a good start, putting Cliftonville on the back foot, with Andrew Waterworth flicking the ball over a defender only to see his shot saved. Kurtis Byrne then had instinctive close range shot saved. Jay Donnelly then had Cliftonville’s first shot, but it was easily saved. Achille Campion, recalled to the starting eleven, was involved in most of Linfield’s attacks, making life uncomfortable for Cliftonville’s defenders, as was Niall Quinn, with most of Linfield’s attacks coming down their left. Campion fired over from inside the penalty area after the ball came to him after a Kirk Millar shot was blocked. Gareth Deane was then forced into his first real save when he made himself big to deny Chris Curran after the ball fell to him. Cliftonville were then denied when Jamie Harney hit the bar after a header from a free-kick. Both sides had reason to feel aggrieved that it was still 0-0. It was the second time he has scored for Linfield at Solitude, having scored there, and at the same end in March 2016. Paul Smyth made it 2-0 and secured the points that day. He did the same yesterday, but unfortunateley for Linfield fans, it was at Loftus Road, setting up Matt Smith to give QPR a 2-0 win over Bolton. The opening minutes of the second-half saw some desperate defending from Linfield, with Mark Stafford blocking a shot on the line, and then blocking a shot from outside the box. Kurtis Byrne then had a shot saved by Brian Neeson as Linfield looked for the second goal that they needed. Byrne then made way soon afterwards, replaced by Ryan Strain. At the same time, Cliftonville made a change, bringing on Rory Donnelly for Joe Gormley, the second successive match against Linfield that Gormley had been substituted just after the hour mark. With fifteen minutes to go, Linfield got the two goal lead they needed when a Niall Quinn free-kick went in. It wasn’t Quinn who scored it, somebody got a touch to put the ball in. Who? That is up for debate. I was stood to the left of the goal and thought it was headed in by Achille Campion. He celebrated like he scored it. Some media outlets have given the goal as a Tomas Cosgrove own goal. The TV footage is inconclusive. It will probably go to the Dubious Goals Committe, which in the Irish League is if the attacking player shouts loud enough for it to be awarded to him. 2-0 up and coasting, Linfield fans started taking the piss out of Cliftonville goalkeeper Brian Neeson. He responded by offering one of them out, and it wasn’t for a date. He even managed to do his own Conor Devlin tribute by booting the ball away (like for his red card in the Irish Cup tie in 2016) as Linfield had a corner. He managed to get a yellow card. It was hilarious to see a goalkeeper getting so wound up and distracted so easily. This is something our players should be looking to exploit in two weeks time. It’s a pity we won’t have fans in the Railway End for that game. Just when everything seemed to be going smoothly, Cliftonville pulled a goal back on 81 minutes from a low Jay Donnelly shot. It looked a goalkeeping mistake from where I was stood. On looking at the TV replay, it looks like a small deflection off a Linfield player which took the ball over Deane. Gareth Deane has made some errors earlier in the season but there’s been absolutely no complaints about his performances since he came into the team against Coleraine in late January. Don’t forget, he made a vital save from Chris Curran when the score was 0-0. The goal also ruined his own personal record against Cliftonville. Prior to this game, he had faced them three times, won every match (by an aggregate of 10-0) and obviously kept three clean sheets. Four clean sheets in a row was gone, but he was still on course for four wins out of four. It was around this point in the game that Cliftonville began their comeback in September. At that game, you could feel a bad vibe at what was going to happen next. At this game, it was more of an inconvenience. Cliftonville fired a lot of crosses in, but that it what Linfield had to deal with. Both of their Donnellys had headers, but they went well wide of goal. Gareth Deane wasn’t troubled, and neither were Linfield. Special mention to new signing Joe Crowe who was solid and reliable and kept it simple. He already looks like a decent acquisition to the squad. However, David Healy appeared not to learn the lessons of September by bringing on Josh Robinson for Achille Campion. You could argue that Andrew Mitchell would have been a better choice. The real answer was, Stephen Fallon or Brandon Adams. Going defensive to hold on to a lead doesn’t work. It’s bitten us on the arse too many times in recent seasons. Linfield were able to see the game out and get the win. There was no real danger of points being dropped, as Cliftonville couldn’t get hold of the ball in injury time. Thankfully. Having been at the Ulster match the night before, I wasn’t in the mood for last minute heartbreak on two successive days. This match was originally scheduled for the Friday night but was played on the Saturday afternoon. The confusion regarding arrangements for this game has been utterly farcical. When the fixture list is done in June, the games I look out for are International Weekends and the NIFL Cup Final for possible postponements. The further that Cliftonville advanced in the competition, the more this game was in doubt. Linfield also had another motive for monitoring Cliftonville’s cup progress as we could have used any potential free weekend to play their oustanding (Postponed from 7th October due to International Call-Ups and also Linfield playing in the Scottish Challenge Cup) League match against Glenavon. Cliftonville’s NIFL Cup Semi-Final against Ballymena United was postponed three times. That was unfortunate. The fact they were having the third go just ten days before the Final was stupidity on behalf of NIFL. There were three spare midweeks between week commencing 10th December and week commencing 5th February that weren’t used. I can understand clubs being reluctant to play on week commencing 17th December as it led into two successive Saturday-Tuesday double headers. There was a free midweek on week commencing 8th January. Clubs might have been reluctant to play that midweek having played Saturday-Tuesday-Saturday-Tuesday-Saturday, but Linfield played Carrick Rangers on Tuesday 9th January. If it was good enough for Linfield and Carrick Rangers, it should have been good enough for Cliftonville and Ballymena United. The third midweek not used was week commencing 29th January. On Monday 29th January, Cliftonville played Glenavon in a game that was broadcast on Sky Sports, having been postponed on it’s original date of Saturday 9th December 2017. It is worth noting that Cliftonville v Glenavon on Saturday 9th December was not to have been broadcast on Sky Sports. Sky Sports schedule their Irish League games on either International Weeks, Midweek Premier League Fixture Lists, European Weeks or FA Cup Weekends as their have no games to show, or don’t have the rights to broadcast games. We are now in peak season in terms of knockout European football. There are plenty of midweeks in the next month where Cliftonville v Glenavon could have been scheduled for broadcast. Why was a competition that is timebound for late March (So that 33 games can be played before the split) given priority over a competition that is timebound to be completed for mid February? Why was Ballymena United v Cliftonville not scheduled for week commencing 29th January 2018 just as Dungannon Swifts v Crusaders was? The knock on effect was that Linfield fans didn’t know if their team would be playing until 5pm last Saturday. It wasn’t just any normal game. It is a game where we have to buy tickets and be bussed in. This all had to be arranged in a week. Linfield fans were expected to purchase tickets during the working week. Thankfully, the club was open late on Tuesday evening for supporters. I was able to take advantage of this but others might not be able to. The club deserves credit for making this option available to fans. 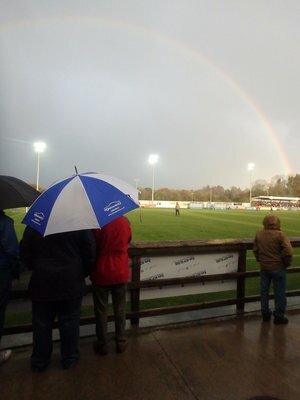 Linfield fans have all sorts of lifestyles and arrangements and should be given more than one week’s notice as to wether a match is on or off, and what day of the week it is taking place on, so that they can make arrangements to go to the game if they wish, and if they have anything that needs arranged in order for them to do so. Ballymena United v Cliftonville being postponed three times was unlucky, but the point stands that three spare midweeks were not used to schedule this game into. Linfield fans have been inconvenience by utter incompetence by fixture schedulers. As a result of Ballymena United v Cliftonville being played last Saturday, Cliftonville’s League game against Warrenpoint Town was postponed to Tuesday, and Cliftonville and Warrenpoint’s Friday games were put back to Saturday, presumably, to allow for more recovery time. If I was Glentoran and Ards, i’d be asking questions as to why they were expected to play Tuesday and Friday, but other clubs were allowed to play Tuesday and Friday. Upon heading home from this game, I watched the NIFL Cup Final between Ballymena United and Dungannon Swifts on Sky Sports. Well, flicking between that and the United match on BT Sport. I was tempted to go to the NIFL Cup Final as a neutral but I was never going to make it from Solitude in time. I’ve already said in a previous blog that Windsor Park was a poor choice for the Final due to it being too big. It was a lazy choice because they were backed into a corner because they had to choose a venue without knowing who the finalists are. It was even more hilarious that the link for tickets was being advertised on my Social Media feeds, despite the fact that my own team was playing earlier that day. Now it has been established (Well, it was established in 2012 when two League games were played at the same time as the Final) that League games can be played on the same day as the League Cup Final, hopefully, this will put an end to Friday night games on this weekend in future years. Regular readers will know that I go to Edinburgh every August for the Festival, but I also like to take in a match while i’m there. Last August, I went to see Edinburgh City. They currently groundshare with Spartans due to the redevelopment of Meadowbank Stadium, which now won’t meet SPFL criteria. I’ll be monitoring this one. Hopefully, it all gets resolved. Up next for Linfield is a trip to Ards followed by a home double header against Glenavon and then Cliftonville in the Irish Cup. So that’s the short-term goal for Linfield. Win the next three games and we’ll be (at worst) level with Glenavon and into the Semi-Finals of the Irish Cup. Linfield’s season began to go awry after the visit to Solitude in September. Hopefully, it will get on course for a strong finish after the visit in February. September 2017 began with a road trip, and a long one at that, to Edinburgh, to see Linfield take on Spartans in the Scottish Challenge Cup. Two days later, it was another football match with an international feel, an actual international, as Northern Ireland took on Czech Republic at Windsor Park. The following weekend was busy, taking in Ryan Adams at Ulster Hall and then Linfield’s match against Glentoran. There was more football to follow, taking in Linfield’s matches against Crusaders and Ballinamallard. The following weekend was football free but not photo free, as I was out capturing Culture Night, and Street Art painted as part of Hit The North. The month ended with a trip to Solitude to see Linfield take on Cliftonville. The less said about which, the better.